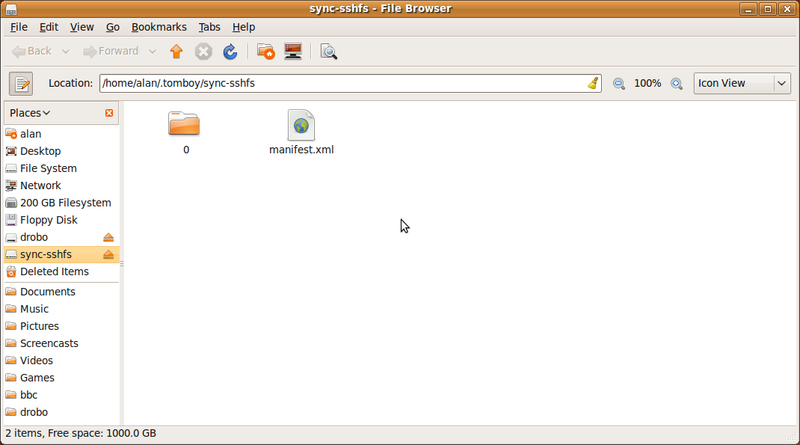 I just used ssh sync and it all worked fine, but I am left with an icon on my desktop called "sync-sshfs" which is a shortuct to /home/$USER/.tomboy/sync-sshfs . Should this not be left more cleanly after the sync, removing the fuse mount? Confirmed in Lucid with Tomboy 1.2.1.